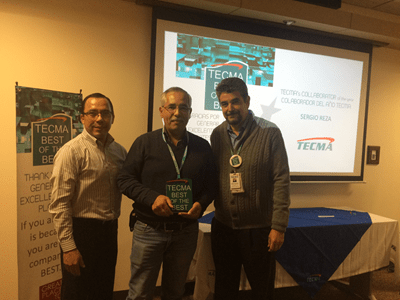 Once a year Tecma honors those companies and managers who have exhibited superior performance in guiding their employees and their companies to high levels of success. 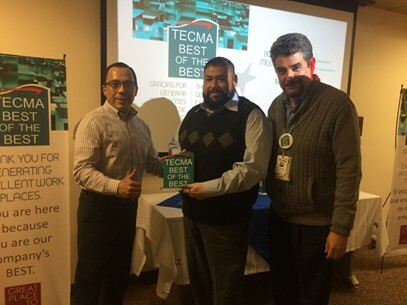 The ceremony for the Juarez Division of Tecma was held in Tecma corporate offices in Juarez on January, 2017. 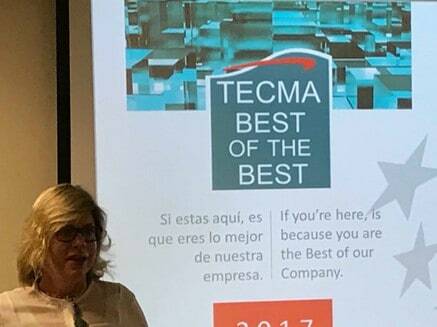 “Today we have our ceremony award for TECMA Best of the Best, where we recognize our client’s efforts during the year 2017. 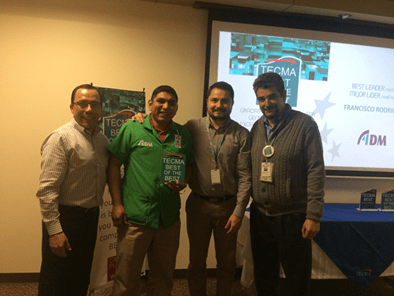 This initiative is to incentivise the clients to help us to reduce the turnover by implementing good practices with the employees.” Jose Grajeda, Vice President of the Tecma Group of Companies. Jodi Simons, CEO of the Bag Corporation made special trip to participate in the ceremony. 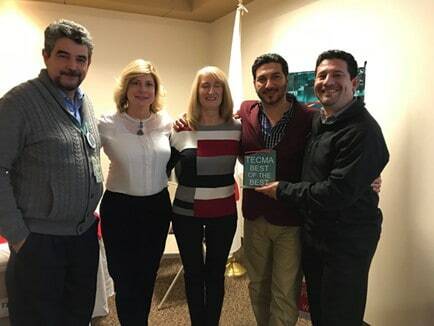 Jodi recognizes the great support and partnership with TECMA. 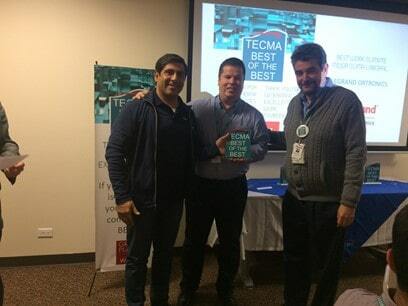 2.-Best Improvement Green Tree, Juan Carlos recognizes the support from TECMA. 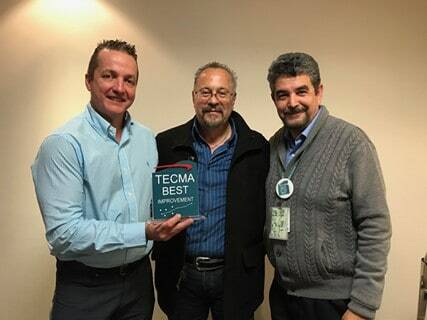 “I join Jose Grajeda in congratulating these leaders and express my personal appreciation for their support in helping Tecma to continue to be the leader of the Maquiladora Industry.” Alan Russell, Chairman and CEO of the Tecma Group of companies.